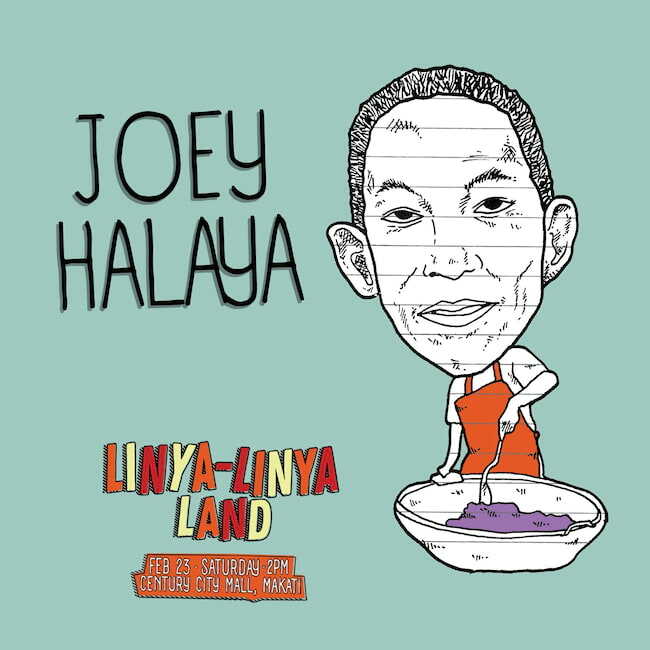 Celebrate Local Music and more at Linya-Linya Land! 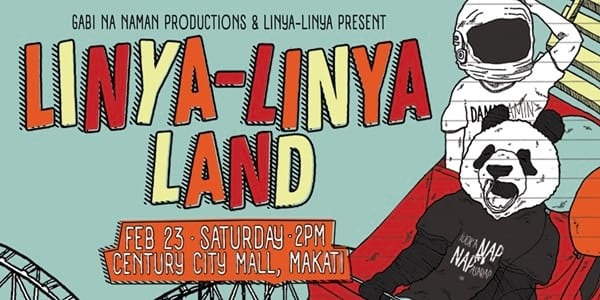 Enjoy a barkada night filled with music, merch, and more at the Linya-Linya Land music show happening on Feb. 23 at the Century City Mall, Makati. 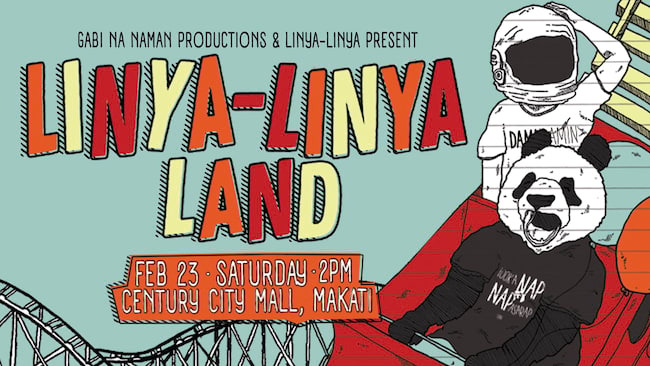 Gabi Na Naman Productions and Century City Mall team up with the famous line of Pinoy witty shirts, Linya-Linya, to gather an exciting lineup of local acts and performers and bring it to the party-hungry crowd of the city! The lengthy lineup of local music artists includes UDD, The Itchyworms, Joey Ayala, Sandwich, Pedicab, dicta license, Johnoy Danao, Autotelic, Ang Bandang Shirley, Cheats, Oh, Flamingo!, The Ransom Collective, Munimuni, UPRISING, JCBX, and Shirebound and Busking. The event will also delight participants with a mini-bazaar of fun products, food stalls, game booths, and exclusive merch and freebies in their call to support local brands and the local music scene. So what are you waiting for? Grab your tickets and enjoy this all-out carnival-of-a-concert! Event starts at 2PM; doors open at 1PM. All ages are welcome, but minors will not be served liquor. For more information, follow their Facebook page @linyalinyaph and their Instagram account @linyalinya.